Archive footage of Plymouth’s rich and varied past will be used to open a window on the city’s future as part of a new annual film commission. Coordinated by Peninsula Arts – the public arts programme of Plymouth University – and the South West Film and Television Archive (SWFTA), the £5,000 commission opportunity will be open to both filmmakers and curators. They will be expected to explore SWFTA’s extensive archive and identify ways through which it can be brought to a wider audience. By running the commission annually, it is hoped to build a body of work which presents Plymouth’s film heritage in a means accessible to both current and future generations. Plymouth University and SWFTA are among the principle partners of the new Plymouth History Centre, which aims to create a unique visitor attraction breathing new life into its world-famous figures and most precious historic collections. Submissions are now being invited for the commission, and it is open to filmmakers and curators from Plymouth, the South West and across the UK. Filmmakers will be expected to create new work, which will either wholly or in part, use archive material from the (SWFTA) to reflect on the experience of living in the South West. Curators will be expected to work with SWFTA to create collections from the archive that create new and innovative ways of animating the archive and increasing accessibility to the collection held there. The deadline for submissions is November 20, and the successful applicant will be notified in early December with the work to be completed by April 2016. The final piece will be screened at the University’s Jill Craigie Cinema in May 2016 as part of the annual Plymouth History Festival. For more information about the commission opportunity, email filmcommission@plymouth.ac.uk. 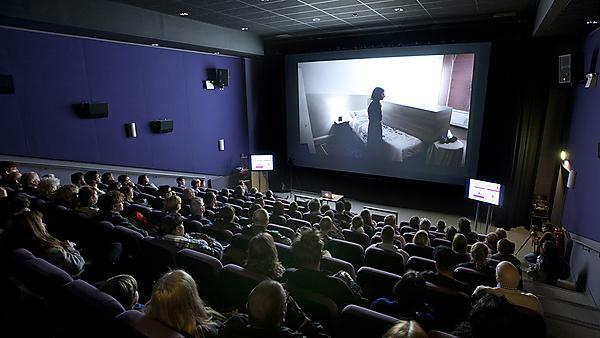 Peninsula Arts launched an annual film commission of £5000. The first beneficiary, James W Norton created the film 'RASHER: Lansdscape Memoirs'.